After many months of work, the project that we are very excited about has finally seen the light of day: the book about Els Tinars, our book. “Tinars. El gusto por la tradición” (Tinars. 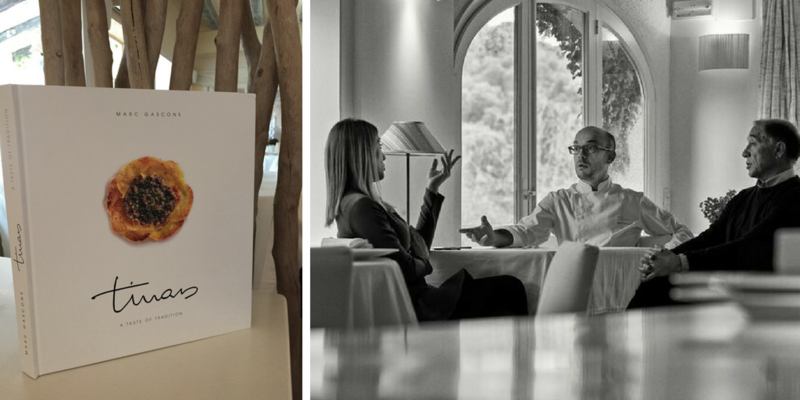 The Taste for Tradition), published by Planeta Gastro, is a journey through the history, the anecdotes, the environment and the evolution of our establishment. We have tried to transmit our essence; our commitment so that Tinars represents the perfect combination between tradition and modernity, between yesterday's, today's and tomorrow's cuisine; and the long-standing obsession with quality, local, fresh products. The book also dedicates a section to the products from the land (elvers from the Ter River, sea urchins, broad beans and peas, mini vegetables, the pot of Tinars-style potatoes, and so on), it includes seasonal recipes, with a menu for each season of the year, collaborations and testimonies from Joan Roca, Carme Ruscalleda, Paco Pérez, Miguel Sánchez Romera, Carles Gaig and Nandu Jubany, among others. The extraordinary photographs that illustrate the book were taken by José Luís Lopez de Zubiria, one of the best gastronomic photographers in the country. As Carme Casas states in the prologue, “Nowadays, there is no prestigious restaurant without a book with photos and descriptions of its creations. This was something that Tinars had yet to do and which we have now done. You will be able to see in the content that the cuisine is the result of the work of three generations, that the most important thing has been getting this far by managing to blend tradition and modernity, and by perfectly combining flavours, textures and ingredients.” she adds. The book has been published in Catalan, Spanish and English and can be bought in our restaurant, in bookshops and from diverse digital platforms, such as that of the publishing house itself (planetadelibros.com). We hope it will surprise you and that you will enjoy it as much as we have enjoyed doing it.